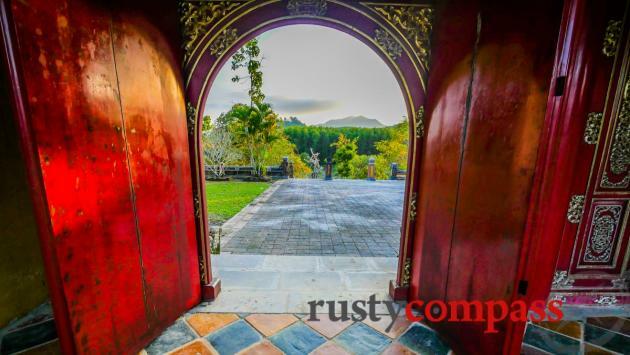 An independent travel guide to Hue with candid reviews and recommendations. No sponsored content, no advertorial. 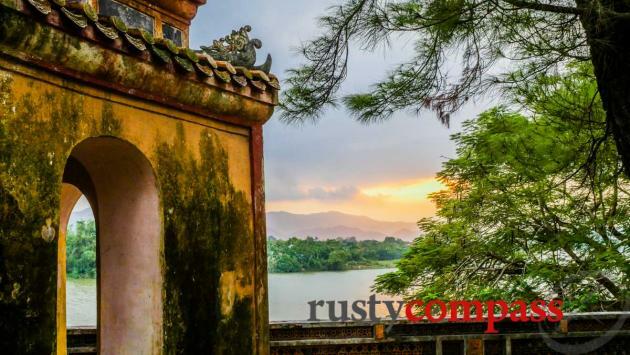 Hue is one of my favourite places in Vietnam - but few travellers come away with the same view. It takes some time to settle in. And if you stick to the standard tour, you’ll probably leave a little bewildered and unmoved. 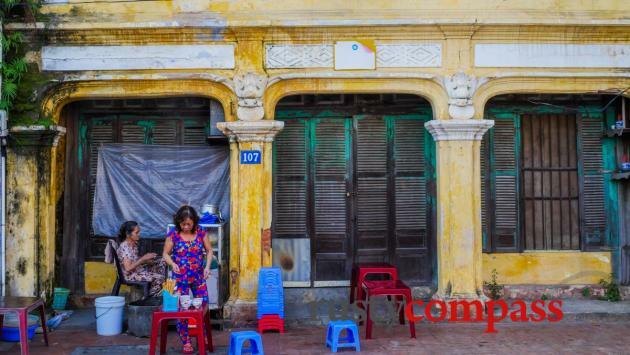 This is one of the most photogenic cities in Vietnam. There are old gems lurking on the streets and in the countryside. And the local cuisine is amazing. The people still have a provincial warmth about them too. Go beyond the “standard” Hue travel itinerary and there’s a good chance it’ll be a highlight for you too. Vietnam’s tourism boom has somehow passed Hue by. The city at the centre of so much of the country’s history and culture - the capital until 1945 - has mostly failed to make a mark on international travellers. It’s a grand failure of storytelling. Hue’s amazing stories go untold as the city offers visitors an information free, Disneyesque experience of a complicated but riveting past. Tourists still come to Hue of course - far fewer than the local tourism industry hopes for. And many that do come, leave non-plussed. Numbers are falling as more travellers relegate Hue to a mad-rush day-trip from Danang or Hoi An. Hue deserves at least a couple of days. Check out our recommendations of things to do and you’ll see why. Hue’s location at Vietnam’s geographical heart may have ordained its special role in the most turbulent two centuries of the country’s history. 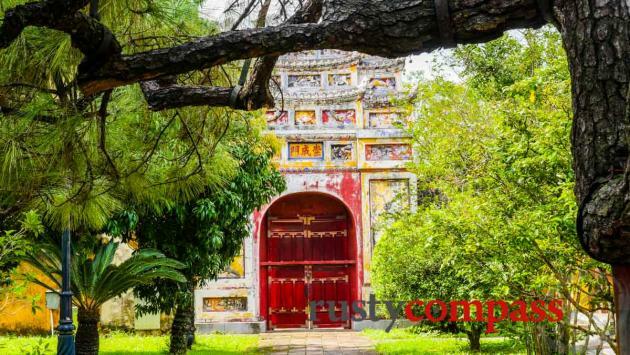 Even before it became the Nguyen Dynasty capital of Vietnam in 1802, Hue was the base for the Nguyen clan who controlled the south of the country. Hue remained at the centre of Vietnam geographically and politically right up until the end of the Vietnam War. The Nguyen Dynasty may have collapsed in 1945, but Hue continued to play an outsized role in national affairs for another 30 years. But modern Hue is a city of loss - loss of prestige and sovereignty to colonial France, loss of purpose as a deposed capital, and loss of culture, innocence and life in decades of terrible war. If ever a city flew too close to the sun, it was Hue. Contemporary Hue carries itself with modesty. 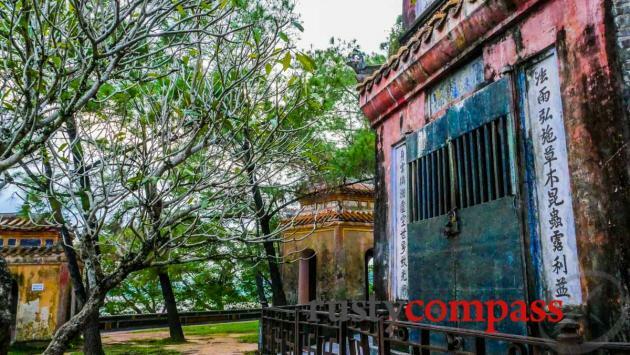 From national capital to 5th or 6th ranking city, the drama of Hue’s past is well hidden in a quest for a new future. And a good many of Hue’s travellers leave disappointed, unaware of the rich tales they almost collide with as they pass through. 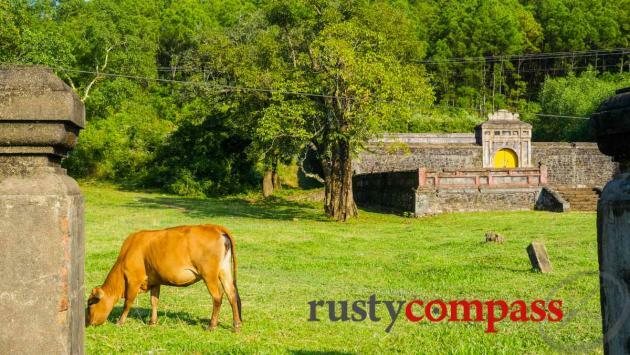 Hue’s complex history - where all sides have had their good and bad days - doesn’t see the light of day for most travellers. The sights are offered devoid of context and detached from major events. The cast of characters whose formation took place in Hue is formidable. Ho Chi Minh, his military mastermind Vo Nguyen Giap, and long term prime minister Pham Van Dong, all spent time here. And their rivals, the last Emperor Bao Dai, South Vietnamese President Ngo Dinh Diem and his infamous family of despots and bishops, also hailed from Hue. And then there are the Buddhist leaders at the centre of the uprising that precipitated the escalation of the United States’ entanglement in Vietnam in the early 1960s. And not to be overlooked is the cast of celebrated musicians, authors, poets and painters who also hail from Hue. Some of the most brutal battles of the Vietnam War were fought in and around Hue. It requires more than a little effort to uncover the stories of Hue as you pass through. Somehow, the city seems to prefer to forget, not just the people of its royal past, but those big players in Vietnamese history who came later as well. Most cities make a big deal of their famous progeny. Not Hue. 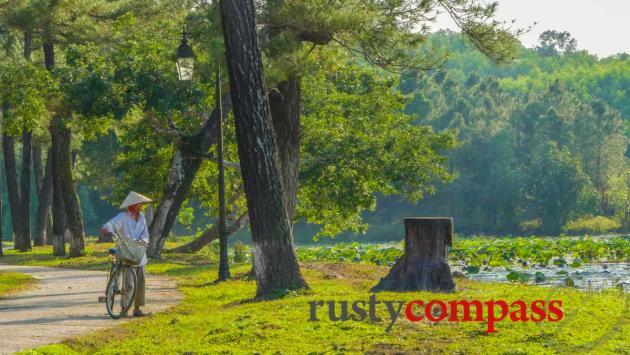 Despite all that, Hue is one of our favourite places in all of Vietnam. Armed with a little knowledge of your own, you can bring the place to life yourself. 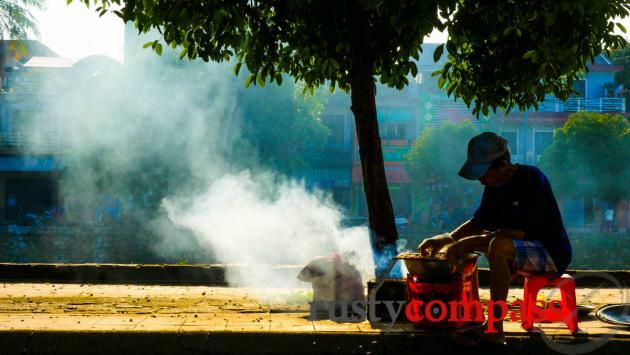 Despite the city’s best efforts to camouflage it, Hue’s atmosphere is irrepressible. Spend a little time here and you’ll start to get it. 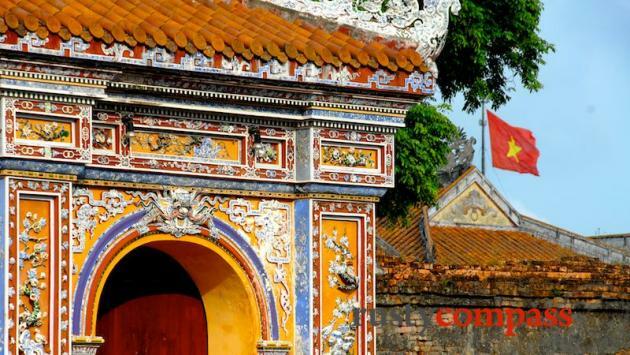 More than any other Vietnamese city, Hue still moves to a rhythm that is at once uniquely Vietnamese and uniquely Hue. Check out our suggestions for things to do here. You can also check out our 3 day Hue itinerary here. Hue’s Phu Bai airport, a massive US airbase during the war, serves domestic flights from Saigon and Hanoi each day. It’s a rather more mellow experience than it must have been in the 60s and 70s. The journey to the centre of town is around thirty minutes and fixed price taxis are available for 350,000VND. There’s a good chance you’ll be able to negotiate something a little cheaper as well. Check with your hotel as their pick up service may be cheaper and more convenient. 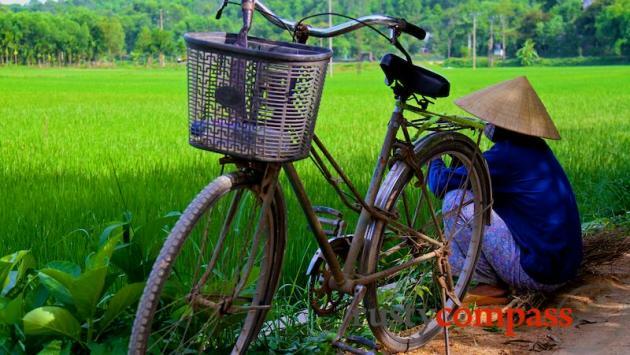 Danang airport is three hours from Hue making it an alternate option for those wanting to combine a visit to Hue with travel to Hoi An and cross the scenic Hai Van Pass. It would be feasible, if not very desirable, to fly into Danang, visit Hoi An for a morning and then drive to Hue in a single day. Hue lies close to half way between Hanoi and Saigon along the famed Reunification Express route. The train station is 10 minutes from the centre of town. Travellers arriving should insist on a metered taxi to the town centre. Many travellers take the Reunification Express from Hanoi to Hue. The journey takes at least eleven hours depending on which service you take. 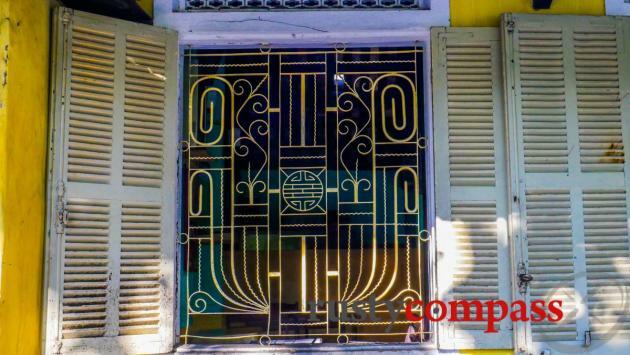 Details are available from Hanoi railway station and many travel agents and hotels in Hanoi also book train travel. 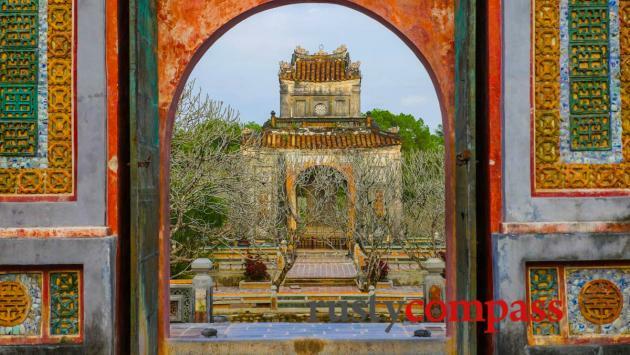 Hue is usually the stop before or after Hoi An depending on whether you’re travelling from the north or the south. The road trip to/from Hoi An is around 2.5 - 3 hours using the tunnel route. Best to take the more scenic route across the Hai Van Pass, add another 30 - 60 minutes - especially as you’ll probably make a few photo stops along the way. 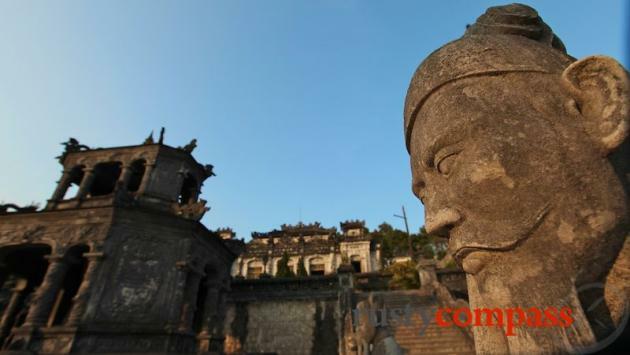 Some travellers visit Hue as a day trip from Hoi An. It’s a big call. Those who try it seem to return to Hoi An with little idea of where they’ve been and wondering why they bothered with 6 hours of driving. Hue deserves a couple of days rather than a few hours. 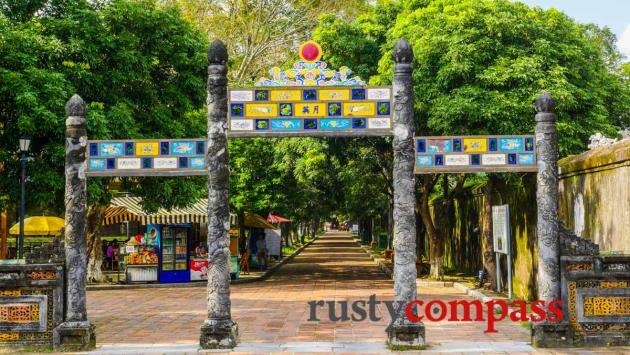 Hue is a popular base for day trips to the DMZ - the former border area between north and south Vietnam and scene of fierce fighting during the Vietnam War. Hue is also frequently used as a point of departure for travel into or from southern Laos. It’s around 12 hours from Hue to Savannakhet in Laos by bus. It’s a rough ride but it’s now well worn by backpackers wanting to explore southern Laos. Buses to Laos can be arranged at traveller cafes in Hue and Hoi An. Beware though, these can be long uncomfortable rides. One of the nicest things about Hue is that it’s an easy place to get around on foot and by bicycle. The town centre is compact and its tree lined streets are uncongested by the standards of the rest of the country. 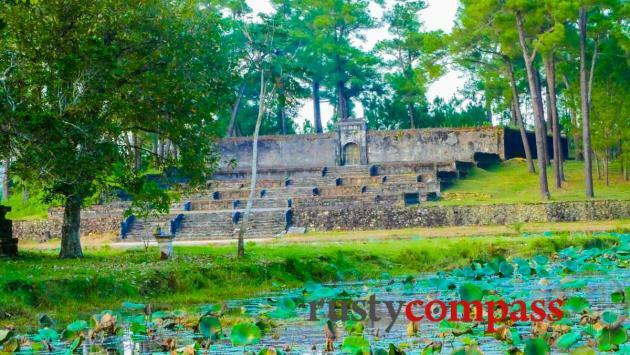 Travel to sights nearby the city is through picturesque country along mainly quiet lanes. 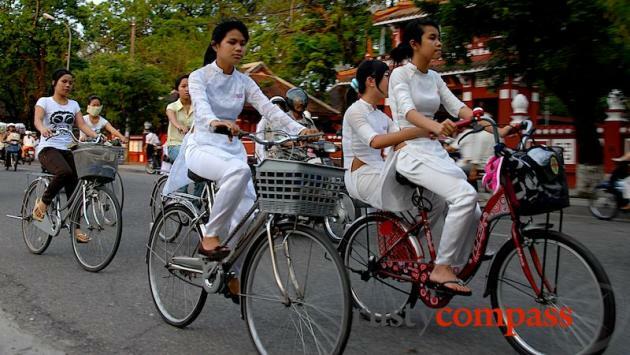 For the less energetic, cyclos are a good option around town (choose your cyclo driver carefully) and xe om motorcycle taxis can get you to all the sights outside of town. Be sure to negotiate your rate with your cyclo or xe om before climbing aboard. Hue's cyclo drivers don't have a great reputation so choose carefully. For those with less time on their hands, car access puts all of Hue’s sights a short journey away. Taxis are also plentifully available and can be hired by the day for metered or fixed price journeys to nearby sights. Usually best to settle on a fixed price and remove scope for nasty shocks. Hue is a very safe city to travel in. The roads are safer than many other parts of the country - though they’re getting busier fast - and street crime is rare. Cyclo drivers are persistent to the point of annoyance. If you’re cycling or motorcycling, always be very careful. Hue’s roads may be less chaotic than other parts of Vietnam but they still throw up plenty of surprises and their share of dangerous manoeuvres. Don’t be lulled into a false sense of security. If you do have an accident or need some medical help in Hue, the situation is less reassuring. Hue’s hospital infrastructure is basic. If you need medical help, the best general hospital is Hue Hospital. The nearest international medical service is located in Danang and facilities there are also limited. Check with your hotel for the latest advice on hospitals and clinics in Hue. ATMs are very widely available in Hue as are banks with foreign exchange counters. Credit cards are accepted in major hotels. Smaller hotels are more likely to accept Mastercard and Visa though less likely to accept Amex and Diners. Internet access in Hue is very straightforward. All major hotels, cafes and restaurants offer free internet access. 4G telephone coverage is good in the town and around the major tourist sights. Local SIM cards can easily be purchased.